Space saving, highly portable and lightweight stand that supports your laptop in multiple positions.The tray is suitable for any laptop up to 17”.Two rigid multi locking aluminium legs adjust the stand at different angles and heights.Fully flexible viewing angle and extremely compact when closed.Ideal for home, mobile or Pro use.Dimensions: 490 mm x 400 mm x 340 mm. Considering purchasing the Novopro LS30 Laptop stand? Have questions? Ask people who've recently bought one. Do you own the Novopro LS30 Laptop stand? Why not write a review based on your experience with it. 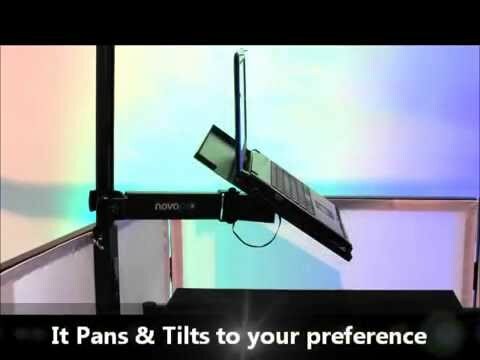 Seen a video for Novopro LS30 Laptop stand online or have you own video? 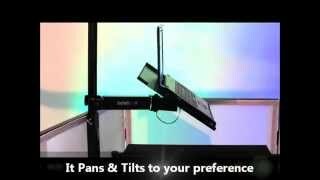 Check out Novopro LS30 Laptop stand on DJkit.com!